Update: 01/07/2018: Mr Gurwinder Singh continues to be detained whilst the Saudi authorities continue to ‘investigate’ the case whilst the family of the deceased driver who collided with Mr Singh which resulted in his demise, continue to insist and hold out for ‘blood money’. We are concerned about Mr Singh’s health. He is clearly depressed and anxious about his continuing detention. Mr Singh explained that he suffers from headaches. He also has various health concerns which requires a professional medical examination. 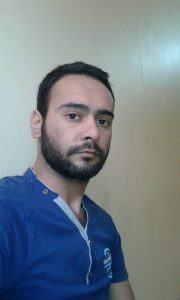 Denial of a medical examination and treatment is tantamount to torture. Further, Mr Singh is forced to eat halal meals which is against his faith. This is adding to his anxiety and having a deterimental impact on his health. The Indian authorities must be assertive and insist on Mr Singh release and repatriation. There is no legal basis of his detention. We are at a loss as to why the Saudi authorities require further time to investigate; the driver who was driving at speed collided into Mr Singh’s vehicle; Mr Singh’s employer failed to arrange to insure Mr Singh, including failing to ensure Mr Singh had medical insurance. These were specific requirements of his contract of employment. 26 year old Indian national Gurwinder Singh from Punjab travelled to Saudi Arabia in December, 2015 to work as a Heavy Goods Driver at ‘Ayub Abdullah Al Zunedi in Zulfi’ Riyadh, Saudi Arabia. In the first three months of his employment, Gurwinder’s employer failed to pay his salary. Gurwinder’ confronted his employer Ayub Abdullah Al Zunedi in relation to the wilful refusal to pay the salary due to him. Gurwinder alleges that Ayub Abdullah Al Zunedi threatened to kill him for asking for his salary. This is part of the ‘Kafala’ system in action (note below under ‘Further reading’). Gurwinder took his employer to the Labour Court to recover the overdue salary however, his employer refused to pay. Instead Ayub Abdullah Al Zunedi proceeded to make deductions from Gurwinder’s salary for alleged damage to the vehicle and continued to withhold his salary. On the 9th of September, 2017 during the course of his employment and whilst driving his truck, Gurwinder’s truck was hit by a speeding car. The driver of the speeding car died on impact. Gurwinder maintains that he was driving at a speed of between 30-40 M.P.H and that the driver of the car was allegedly driving at a speed of between 160 and 180 M.P.H. This was backed up by the findings of the Police investigation into the collision. The Police investigation disclosed that Gurwinder Singh was not insured to drive. Gurwinder claims that in Saudi Arabia it is the duty of the employer to insure the employees under the employment contract. Ayub Abdullah Al Zunedi refused to take responsibility; instead he made false accusations against Gurwinder and filed a malicious criminal complaint. The Saudi Police did not investigate Ayub Abdullah Al Zunedi for failing to provide Gurwinder Singh with insurance cover. 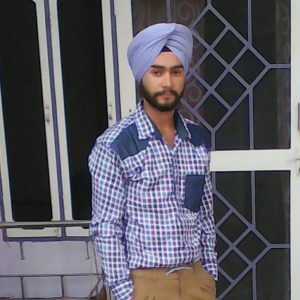 Gurwinder Singh was tried under Sharia Law and Ordered to pay 2 million and 44 thousand in Saudi Riyal in ‘blood money’ (that is Rs 42 Lakh (approximately £42,000 GB)) to the family of the deceased who have made it clear, that they will not accept anything less than the ‘blood money’ Ordered under Sharia Law. Unless this amount is paid to the satisfaction of the deceased’s family, Gurwinder Singh remains in prison custody. Disappointingly, the Indian Embassy has failed to provide effective Consular excess and independent legal representation to Gurwinder Singh. He did not have legal represented before the Sharia Court and there were no submissions made on his behalf in relation to the facts that his ‘employer’ failed to insure him and that it was the deceased who caused the accident by driving at speed. It was the deceased who ploughed into the vehicle driven by Gurwinder Singh. Whilst in prison custody, Gurwinder Singh was ordered to remove his turban and his Kara (a steel bangle worn by Sikhs as part of their articles of faith and a manifestation of their identity) and his long hair was shorn off. Gurwinder Singh was informed that this was a requirement under Saudi prison rules. Whilst in prison custody, Gurwinder said that he and other non-Muslim prisoners are under pressure to convert to Islam by inmates and by Saudi officials working in the prison. All prisoners are served halal food which includes being served camel meat. The Sikh faith prohibits Sikhs eating halal food. Such religious sensitivities are ignored. This is a gross breach of the Human Rights of Sikhs and other minorities Imprisoned in Saudi Arabia. It is a violation of Gurwinder Singh’s right to practice his religion. Migrant workers appear to be deliberately targeted for discriminatory treatment and generally treated with indignation and with contempt. Persecution of minorities in Saudi Arabia is rife. These minority communities comprise mainly of migrant workers – in particular, migrant workers from South Asia. Crimes against them go unreported and unpunished. Saudi Arabia was was appointed to head the UN’s Panel for Human Rights in September 2015. Saudi Arabia is a country of radical Muslims, Punjabis particularly Sikhs must not go there to work. It’s an injustice to Gurvinder Singh by not paying him salary and imposing wrong allegations on him. Saudi govt is doing injustice to him n his family members. This is really not acceptable. They can’t cheat the innocent people like this. The employer should be punished and apologies to him and pay his all the dues. Contact SP Oberoi 9815588000 a Sikh Businessman in Saudi Arabia who has helped so many people with Blood money cases..to help save his life…He should definitely help…. Gurwinder Singh was NOT responsible for the accident. Sikhs do not pay ‘blood money’; addressing the injustice and ensuring he receives a fair trial should be the priority. It is not an opportunity to manifest wealth and power.